I was a storm of fury this evening. It wasn’t work stress. I use my computer to write during my train ride to and from work. I had a script that my boss made much better after his review. But getting home started the lightning and thunder swirling. The boys, the two masters of mayhem that they are, had procrastinated in a form that would make even their middle sister proud. 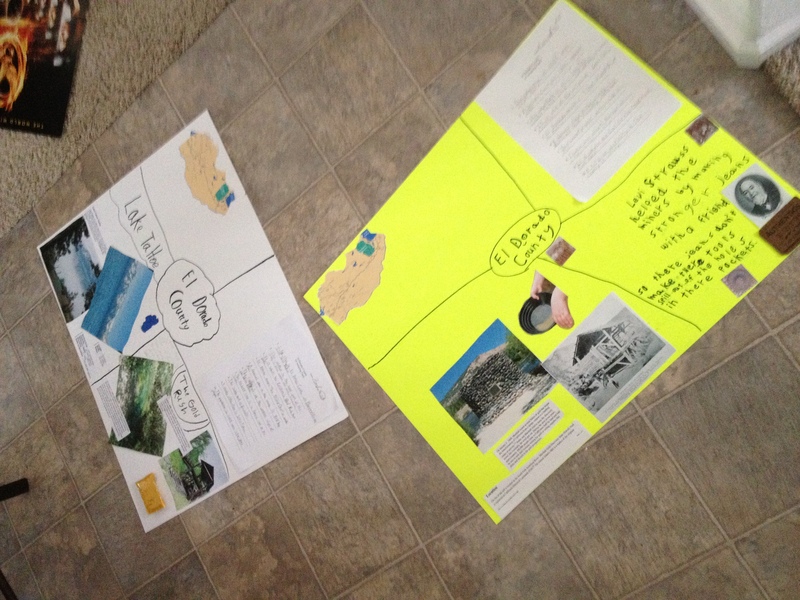 The twins had a project that they’d needed to finish for more than a couple weeks. Now, I understand, I’m the Dad, they’re 9, just as much blame to lie on my shoulders. That’s what makes me even angrier. It wouldn’t have been so bad if I hadn’t been constantly reminding them of the fact that they had to do the project, telling them where to get the information, allowing them to use my computer (a cardinal sin, usually) and informing them that yes, we do have poster boards here in the house! In spite of all that, today, knee deep in it all, they inform me that they still have most of their project to complete. They haven’t printed their pictures. They did an awful job of writing their fact sheets so that you couldn’t read them. Nothing was the way it should have been. The clouds were rolling in. At 2:30 in the afternoon the school calls and says Noah has a slight temperature: 99 degrees. Nothing horrific, and if he’d been running crazy around the school quad – which I’ll lay odds happened – he would be that warm. He complained his throat was scratchy, which wouldn’t have happened if he’d taken his allergy medicine in the morning.To make matters worse, when I got home from work, after taking the light rail train, they were all sitting on the couch, watching some God-awful Nickelodeon show. Not even a good Nickelodeon, which is like finding a needle in a stack of needles anyway. This after the insanity of trying to get them into their projects. I had pushed their older sister to help them because I didn’t want to just come home and spend all night working on these things. But all they’d managed was the fact sheet and their sister, Abbi, was on the computer looking for more pictures of the things they needed. They’d all abandoned her to doing the work for them. I could see the fingers of lightning licking across the clouds in my head. I immediately asked what in God’s name they were doing, as I put frozen pizzas – yes, I didn’t even have time to make my homemade pizza – in the oven. It’s funny how you can watch all three heads, even their sister who wasn’t working on a project, jump in unison. “Abbi’s helping us” was the response. As the pizzas cooked, I changed clothes. As I opened the laundry room door to start a load of clothes I noticed the gigantic pile of clean clothes still in the room, spilling out of the baskets. The boys’ chore is folding and putting away the laundry. Hannah’s is the dishes. Abbi has to watch them. This entire week, though, has been laden with my coming home to find Abbi in her room on the computer or listening to music while her siblings run the house; the kitchen a gigantic mess; and Mount Saint Laundry growing by the foot each day. It didn’t sit well with me. I came downstairs and the one bright spot while the clouds began to rotate around into a funnel was that my middle child had actually unloaded and loaded the dishwasher and cleaned the kitchen counters. She and I have a deal. Any more missed assignments and: first, she doesn’t do her chores and gets another “zero” on an assignment she doesn’t get to go with her sister and I to see her favorite band “The Black Keys” a day before Abbi’s prom; second, if she doesn’t pass her school work and get through 7th grade she’s not going back to the school. None of her friends, no choir, no band, nothing. She’s got to pass or she doesn’t get the crazy, expensive Catholic School education. We ate dinner, admittedly late, and the boys had to keep working on their projects. I spent, literally, 3 and a half minutes in Abbi’s room showing her something on the computer and the boys were screaming, Noah bawling, Sam standing looking like Sheriff Matt Dillon after shooting a gun-toting thief. Here’s where the storm hit in earnest. I blew, and I mean loud, screaming, hoarse voice afterwards – blew. Instead of working the projects they’d started playing with Legos. They were throwing them at each other, hard, angry at the other and making marks and angry bruises on each others’ arms. My tirade was long enough that I watched Sam’s eyes get wider and wider as every angry word came out of my mouth. It wasn’t pretty, nor nice, nor even right I suppose, but they started moving. Quick. Glue sticks were flying and I was furiously screaming at them to get moving and directing their work, like Leopold cranking the best out of a mediocre orchestra. Hannah looked at me incredulously, her eye lashes matted down with tears. Hannah left, her tirade backfiring on her and realizing that sympathy was not forthcoming when I was in the middle of a stormy mood. The projects were completed. The boys looked up to ask for Midnight Snack and stopped, knowing better. They asked if I’d read Harry Potter and I just looked at them. I went into Hannah’s room and apologized for yelling at her. I was coming in from the storm. But I reinforced that her panic wasn’t doing anything but . . . well, making her panic. Then she handed me her math chapter check and there were 3 blank spaces. I had troubles with all four prior to losing my wife, sure. But then we were a united front. I never raised my voice to the degree I did last night, but now I’ve done it for a second time. I’m not trying to be my kids’ friend, I’m trying desperately to be their Dad. I am trying to make sure they don’t fail. I want them to be able to trace back to March 26th, 2011, and realize they lost something special, but they didn’t fail. But nights like this make me think I’m slowly slipping off the stones; like I’m getting blown by the wind without a shelter from the tornado. I hadn’t let up but a bit and they did an end-run around me anyway. I wanted so desperately to come in from the storm, but it looks like I still need to get a little wet.